Get your lawn chairs and water bottles ready, the Bacon Cheeseburger sausage is back. 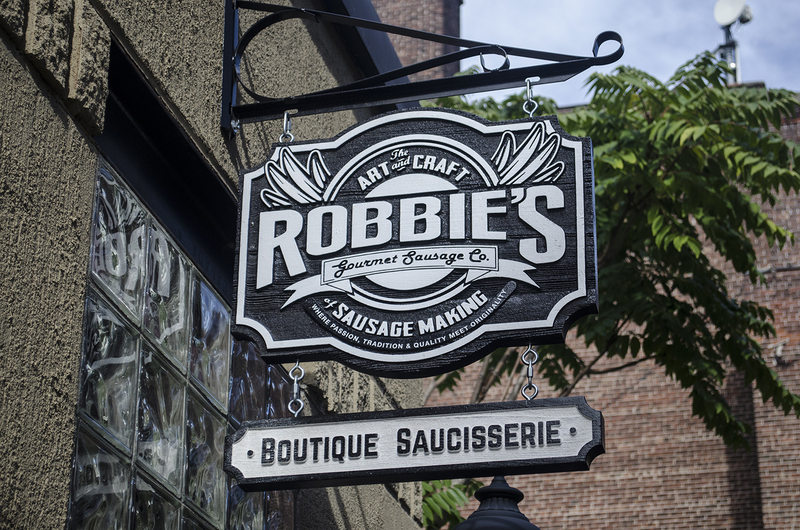 This sausage has such a following, that the two weekends per year it is released, lineups form outside of Robbie’s Gourmet Sausage Co. before the doors open and it usually sells out in a couple hours. This Saturday, July 1, 2017, Robbie’s Gourmet Sausage Co. is once again releasing their highly anticipated Bacon Cheeseburger Sausage. Over the past four years this sausage has gained a loyal following. The Bacon Cheeseburger sausage is made using pork, beef, naturally smoked bacon, cheddar cheese, dill pickles, ketchup, mustard and so much more. Basically, everything you look for in a bacon cheese burger has been infused into these sneaky links.